Dr. Thoaivan Phan is a graduate of Virginia Commonwealth University, School of Dentistry. She received The International College of Dentist Award and The Oliver Wendell Clough Restorative Dentistry Award during training. She is certified in Invisalign (invisible braces) and offers cosmetic, root canal and implant treatment. 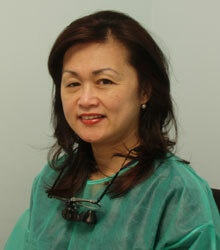 Dr. Phan is a passionate and skilled dentist for over 20 years. She offers a full range of dental procedures to keep your teeth healthy and your smile bright. She invites you to come and see our caring staff and the latest in dental technology. 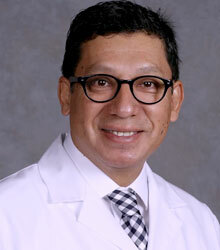 Originally from Lima, Peru, Dr. Alvarez received his Doctor of Dental Surgery from the University of San Marcos. He has received specialized training in prosthodontics at the University of Rochester. He is a current member of the American College of Prosthodontists and The American Academy of Osseointegration. He specializes in dentures, implant crowns and bridges, and overdentures. He loves rising to the challenges that each new patient brings him. Dr. Alvarez is married with two children. He is a self-proclaimed workaholic! Dr. Abril first earned his diploma as a general practitioner dentist in Bogotá, Columbia, where he worked in private practice for years before moving to the United States with the intention of pursuing his specialization in periodontics. He received both his diploma in periodontics and his Master of Science in Dentistry (research) from Saint Louis University in Saint Louis, Missouri. 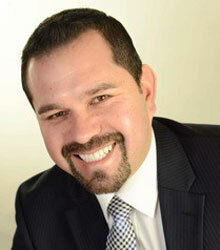 He has acquired clinical experience in both non-surgical and surgical procedures. He is also fully trained in treating all aspects of periodontal care, including implant surgery, osseous grafting around natural teeth, osseous grafting around dental implants, surgery in regards to gum recession or poor gum quality, esthetic and restorative crown lengthening procedures, scaling and root planing, and periodontal maintenance. Dr. Abril is a present member of the American Academy of Periodontology (AAP), as well as the American Board of Periodontology. He has committed himself to continuing his education in order to give his patients the exceptional treatment they deserve. He can’t wait to assist you in achieving a beautiful smile! When he isn’t busy at the office, Dr. Abril enjoys playing soccer, taking long walks, and going to the movies. He is a member of the American College of Prosthodontists and is board eligible for the American Board of Prosthodontics. He specializes in a wide range of restorative and prosthetic treatment, including implant restorations, dentures, crowns and bridges, implant-supported prostheses, implant surgery, and full-mouth reconstruction. Dr. Kiangsoontra is an avid learner and strives to keep himself up-to-date with the latest treatment protocols in dentistry and attends multiple continuing education courses and national conferences. During his free time, he enjoys traveling, photography, finding new places to explore, and spending time with his family and friends. Dr. Zahraa Alsalihi is a graduate of NYU school of Dentistry. She enjoys doing general dentistry, this allows her to do different procedures , and to treat children and adult patients. She spends hours of continuing education classes every year ,to offer the best of knowledge and skills to her patients . Dr.Alsalihi believes that dental appointment should be a great experience for her patients, while they will get to know all the informations and the options to make the right decision. regarding their oral health care. She and her team will make sure that your appointment and treatment will meet your expectations. Dr.Alsalihi is a member of American dental association, Virginia dental association and Northern Virginia dental society. During her spare time, Dr.Alsalihi enjoys watching movies, traveling and spending time with her family and friends. Dr.Alsalihi accepts new patients and would love to meet you and be your dentist. Call us today to schedule an appointment! We offer extended hours, as well as weekend hours.